VA-125 was an Attack Squadron of the U.S. Navy. 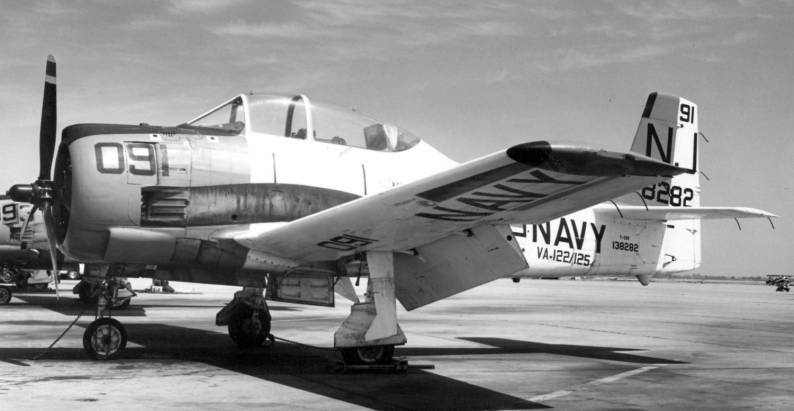 It was established as Reserve Attack Squadron VA-55E, most likely during the activation of the Naval Air Reserve in 1946. It remained in an inactive status until January 1950, when it was redesignated VA-923. 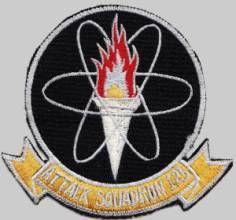 The squadron was called to active duty on 20 July 1950. It was redesignated VA-125 on 4 February 1953, and disestablished on 10 April 1958. Its nickname was the Rough Raiders from 1952 onward. February 1, 1953: The squadron’s commanding officer, Commander J. C. Micheel, was killed in action in Korea. The Squadron was homeported at NAS Miramar, California. 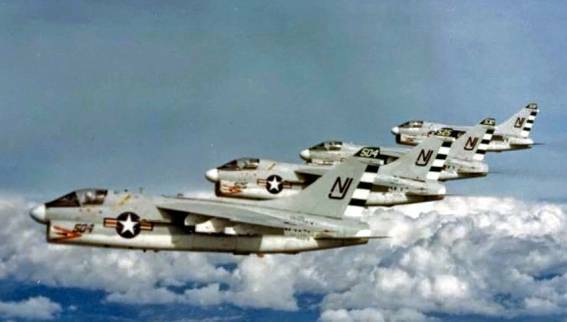 11 Apr 1958: The squadron’s mission was changed from air-to-ground/surface attack to the indoctrination and training of pilots and enlisted personnel in attack aircraft for assignment to combat carrier squadrons. 11 Dec 1958: The squadron’s commanding officer, Commander J. E. Thomas, was killed in an aircraft accident. Mar 1960: With the addition of the A4D-2N Skyhawk, the squadron added radar and inflight refueling training to its flight syllabus. 19 May 1966: VA-125 was the first squadron in the Navy to receive the TA-4F Skyhawk. Jun 1966: The first of several groups of Australians arrived for training by the squadron on the A-4 Skyhawk. The pilots were to form the nucleus of Australia’s first A-4 squadron scheduled for assignment to HMAS Melborne (R-21). 13 Mar 1967: The squadron’s commanding officer, Commander J. D. Shaw, was killed in an aircraft accident during a routine carrier qualification exercise on the Kearsarge (CVS 33). 31 Mar 1969: The last A-4 Fleet Replacement Pilot class began. 30 Jun 1969: The last A-4 Fleet Replacement Enlisted Maintenance training program was completed. Nov 1969: The squadron began to develop the required training program for the Light Attack Weapons School. In December 1969 the squadron, in conjunction with VA-122, inaugurated a graduate level course for the Light Attack Weapons School that involved all phases of attack aviation. Jan 1970: The first A-7 Fleet Replacement Enlisted Maintenance and Fleet Replacement Pilot classes began.